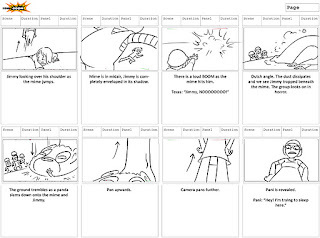 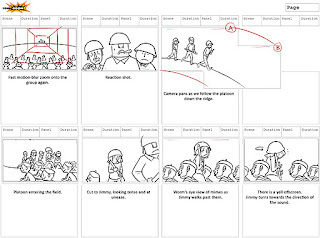 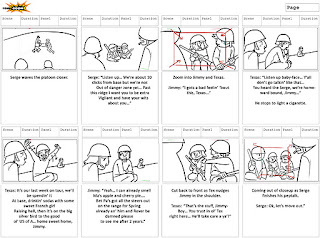 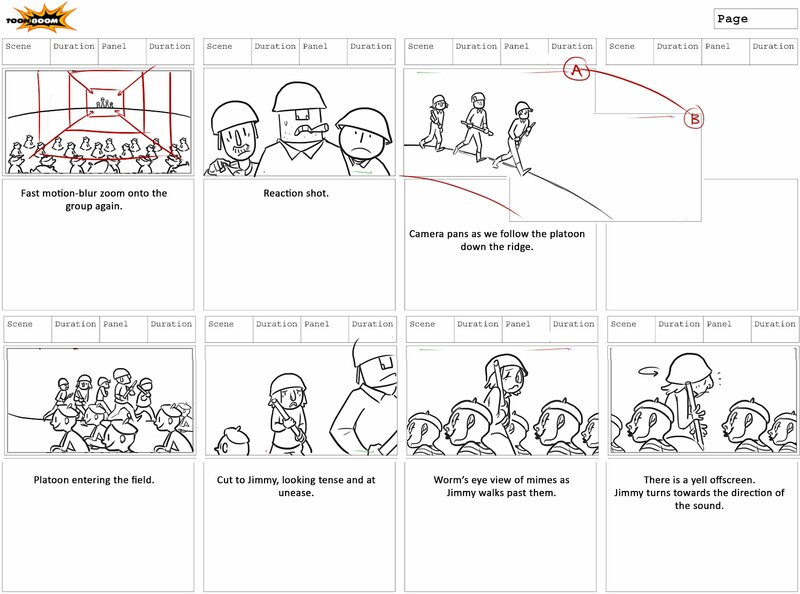 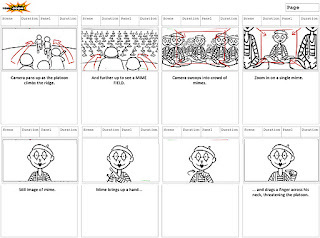 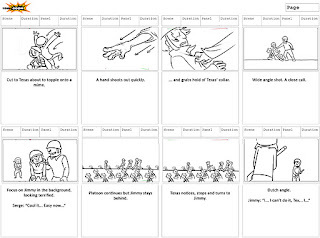 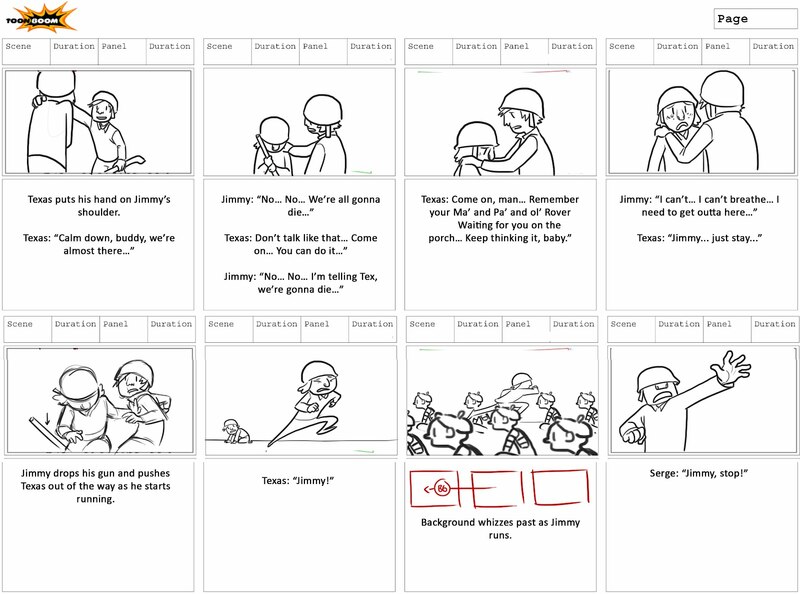 Second week of the semester was Storyboarding with Christian De Vita. 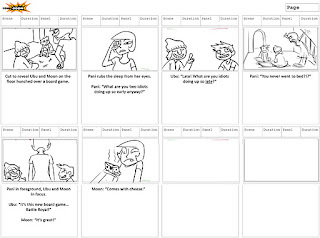 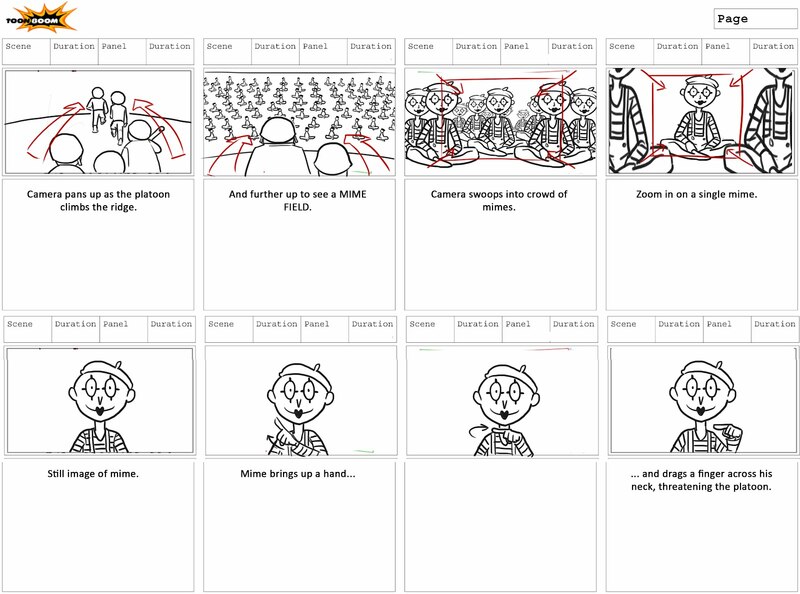 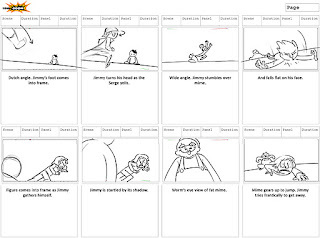 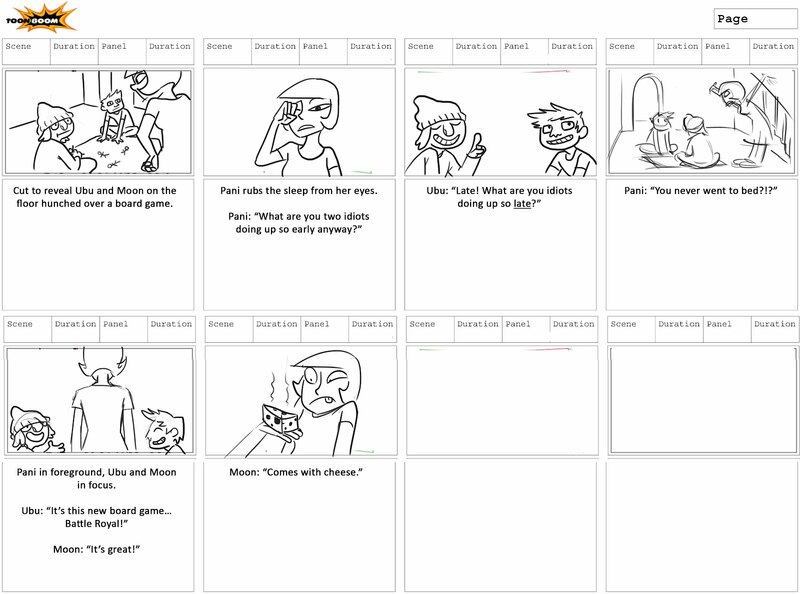 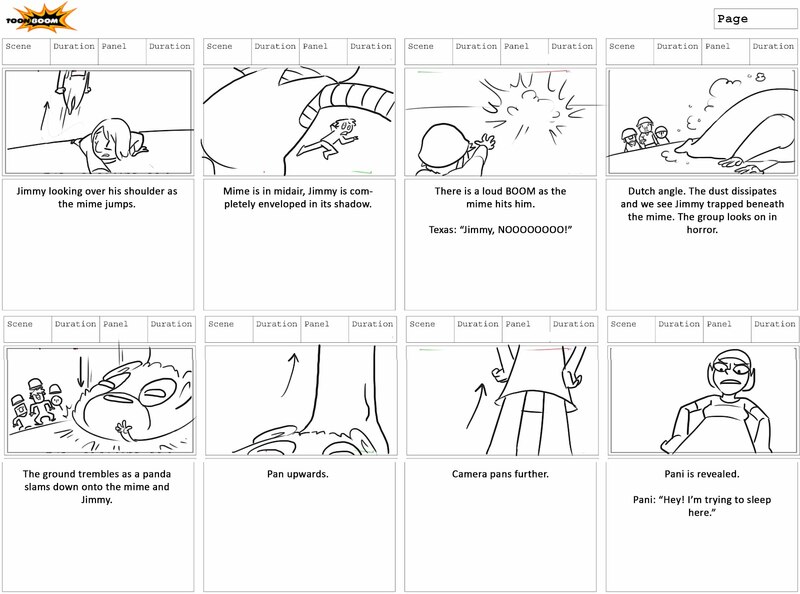 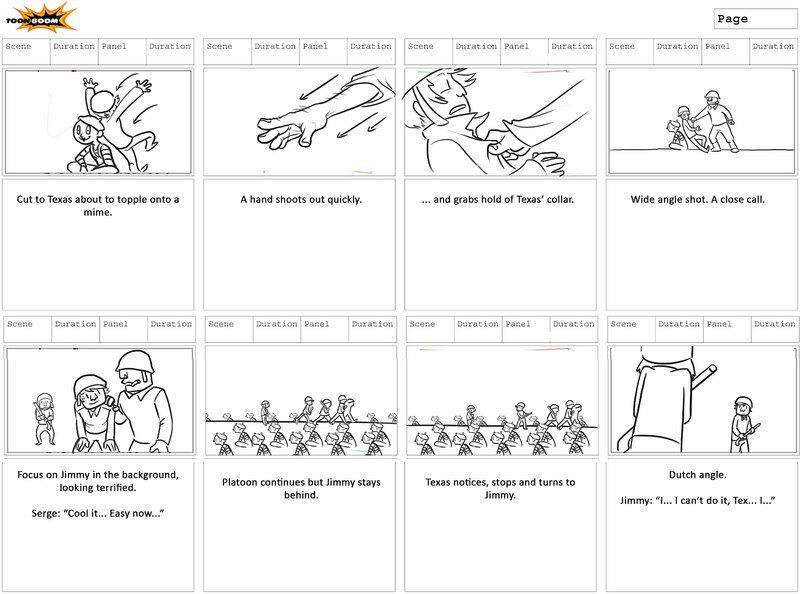 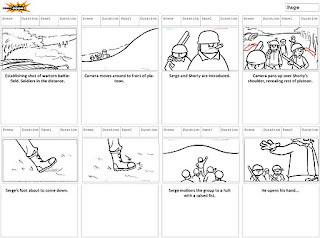 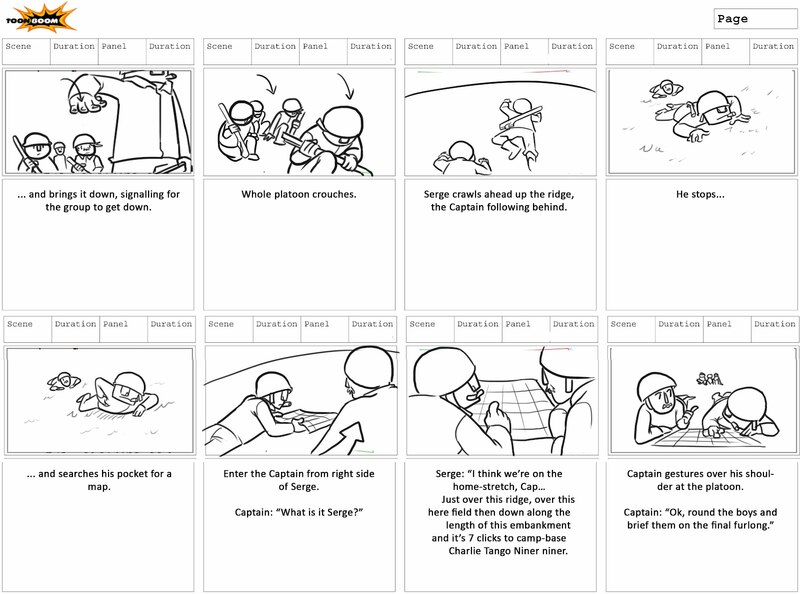 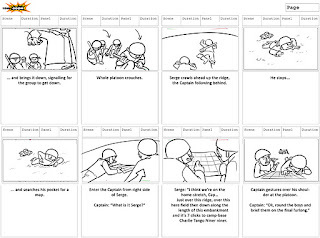 I've never done a proper storyboard before, so I found it challenging but fun. 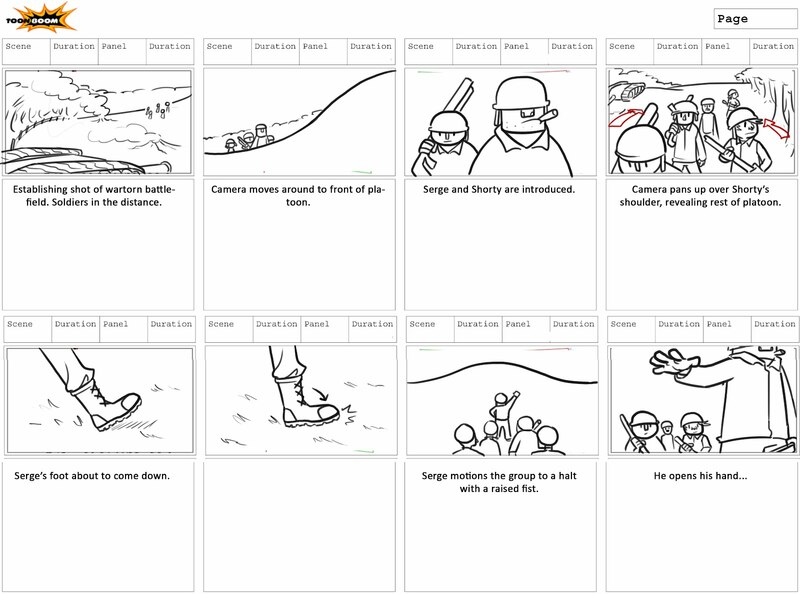 We were given a script with the story of a platoon of soldiers on the march through a "mime field". 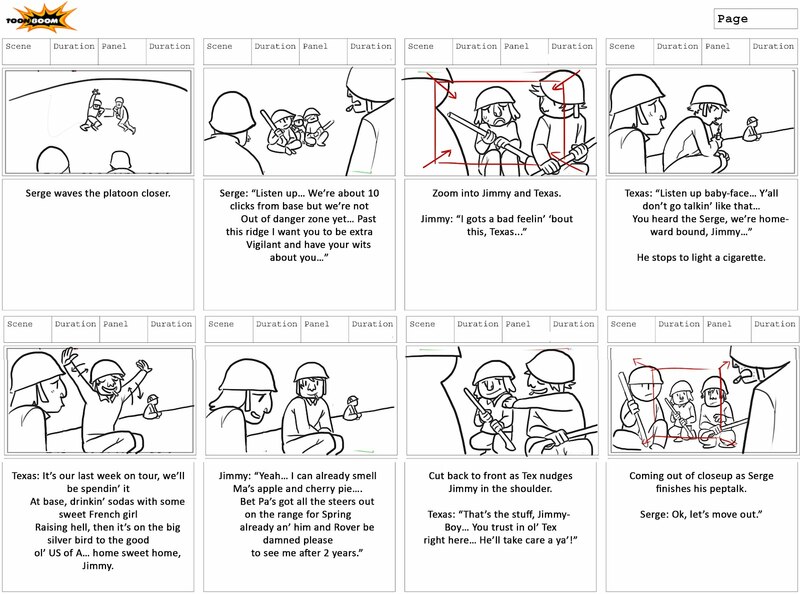 It then turns out the soldiers are just toys, being played with by two boys.